A new study shows Zika may not only be to blame for birth defects leading to microcephaly, but may also trigger a dangerous neurological disorder, Guillain-Barré syndrome (GBS). The French study, published in The Lancet medical journal on Monday, follows Zika’s potential role in an outbreak of GBS in French Polynesia. Guillain-Barré syndrome is a rare condition in which the body’s immune system attacks the nervous system in control of muscle strength. More than a quarter of patients require intensive care and assisted breathing, while the outcome is lethal in about five percent of cases. The Zika outbreak in French Polynesia was at its height between October 2013 and April 2014, coinciding with an increase in reports of GBS cases. This prompted scientists to investigate a correlation between the two diseases. “This is the first study providing evidence for Zika virus infection causing Guillain-Barré syndrome,” the research says. With Zika virus warnings in place in 35 countries and territories around the world, according to the latest CDC data, scientists warn that healthcare facilities should prepare for a possible GBS outbreak as well. "In areas that will be hit by the Zika epidemic, we need to think about reinforcing intensive care capacity," Arnaud Fontanet, co-author of the study and a professor at the Emerging Diseases Epidemiology Unit of the Institut Pasteur in Paris, told AFP. Earlier this week France confirmed the first European case of the Zika virus transmitted through sexual contact. Previously, Zika was seen as a mosquito-borne virus. It is suspected to be the cause of a sudden increase in cases of neonatal microcephaly, a severe deformation of the brain and skull among newborns that prevents full development of babies’ heads and, in some cases, can lead to mental development problems. Almost 4,000 infants in Brazil have been born with microcephaly since October 2015, compared to 147 for the whole of 2014. On February 1, the World Health Organization (WHO) declared a public health emergency due to rising cases of microcephaly and Guillain-Barre syndrome, even though the link to Zika remained circumstantial. 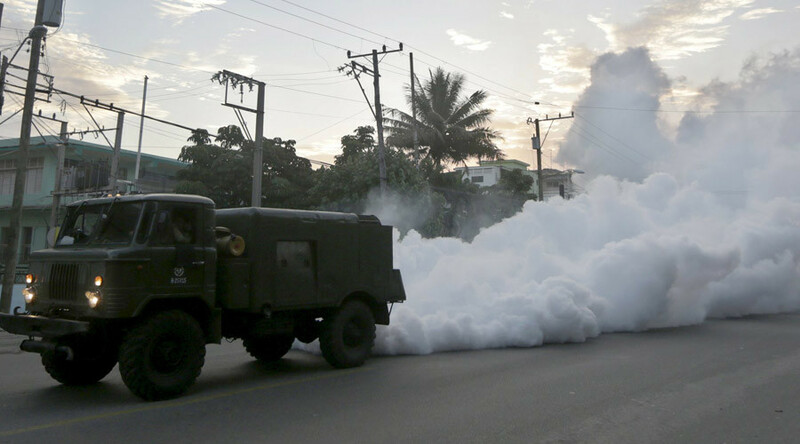 Last Friday the WHO once again drew attention to a link between Zika and GBS – a connection that now seems almost certain to exist.